Maybe Isle of Wight with seahorse mark.? 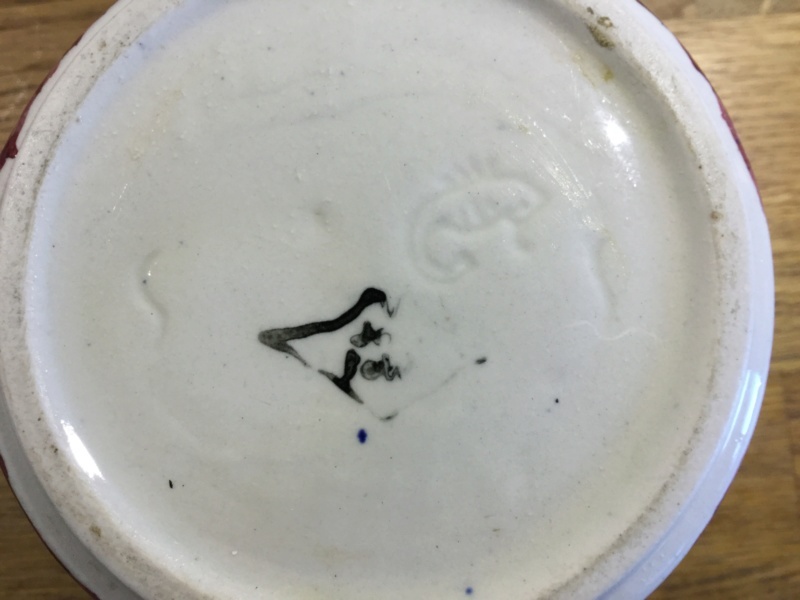 Just picked this up today as assumed was I O W. Half of the mark is missing but then I noticed the seahorse could anyone throw any light on this for me please. Thank you. Re: Maybe Isle of Wight with seahorse mark.? 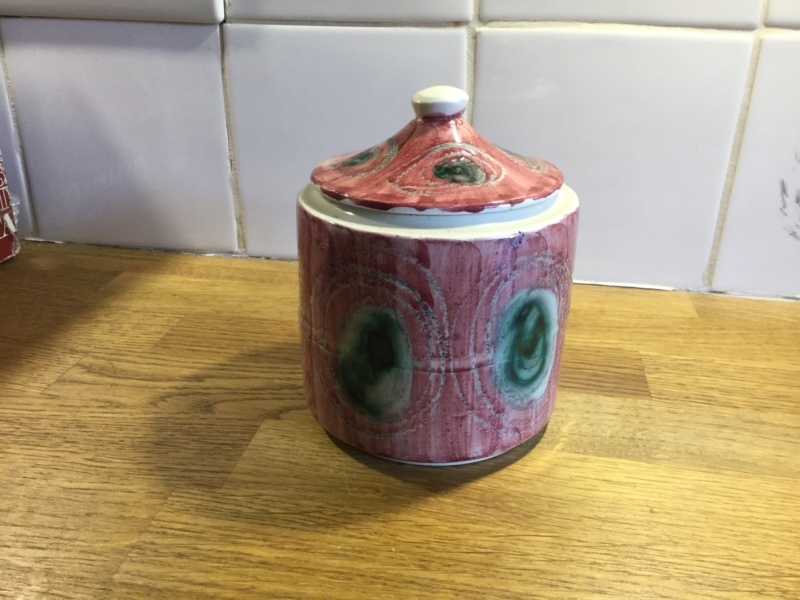 Thank you the design matches with other Jo Lester items I’ve googled, but I haven’t come across a pot like this before. It’s quite crude and not very well fitting I wondered if maybe not many produced because of this. Any thoughts. 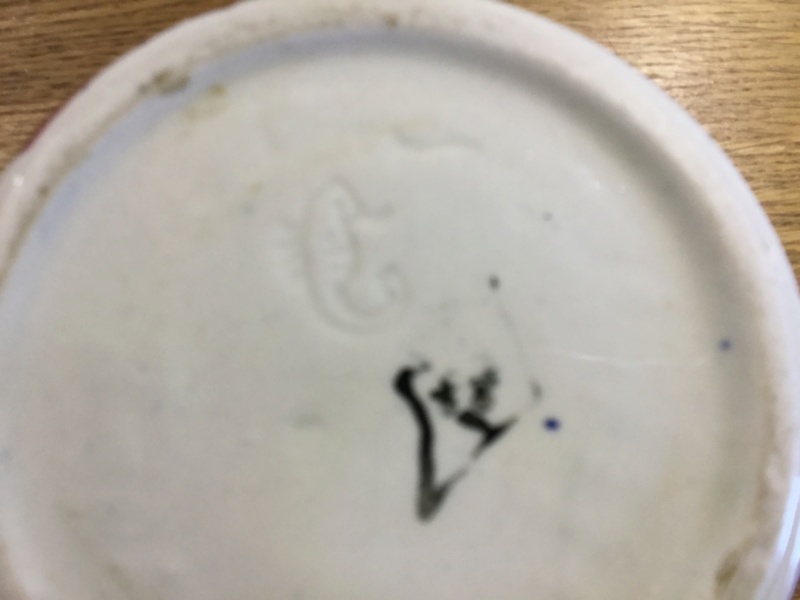 The seahorse mark is a bonus and very much like the design on the plates he’s made. neither can I find any reference to it in the IOW pottery book. potty is an IOW fan but we haven't seen him this year? Do you think the mark would increase the desirability (if that’s a word) to a collector?